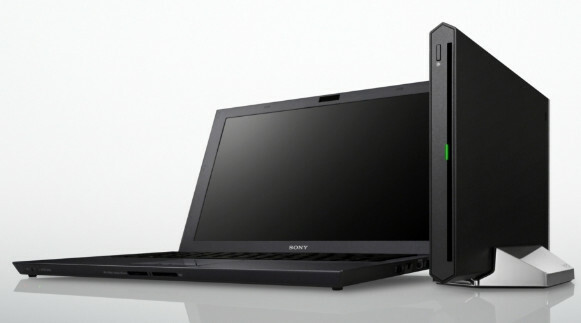 Thinner than a whippet with a crack habit, Sony’s devilishly slender Vaio Z laptop manages to be both lighter and thinner than the Macbook Air, but at a price. Measuring just 16.65mm thin and weighing a mere 1.2kg, this is a laptop to kick sand in the face of its rivals, with the insides thundering to an Intel Sandy Bridge 2.7GHz Core i7 processor that can run at 3.4GHz with Turbo Boost, backed by 8GB of DDR3 SDRAM and a 256GB solid state drive. Graphics are handled by an Intel HD Graphics 3000 GPU, while the 13.1in anti-reflective screen divvies up a generous 1600×900 resolution (upgradeable to 1,920 x 1,080 pixels). Running on 64-bit Windows 7 Professional, a Quick Boot option lets users get working in seconds, and the backlit keyboard shows the Air how it should be done. Other features include WiFi, optional 3G, a 1.3MP webcam, HDMI and a button-less touchpad, with battery life quoted at 7 hours. Slap on the optional lithium polymer ‘sheet battery’ and this baby will keep on doing its stuff for a staggering 14 hours – long enough for the average tube journey! 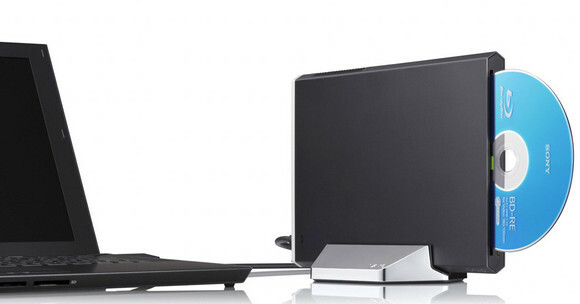 Things get more interesting with the the Power Media Dock, which hooks up to the Vaio Z laptop via an optical cable and adds on a DVD or Blu-ray drive alongside HDMI and VGA ports capable of outputting 1920×1080 resolution. The dock also throws USB 2.0/3.0 ports and Thunderbolt connectivity into the mix. Inside the dock can be found an AMD Radeon HD 6650M graphics card with 1GB of VRAM that is capable of supporting up to 4 monitors. “All-new VAIO Z takes cutting-edge styling by Sony to new extremes, with a ‘full flat’ body and display lid that are crafted in tough, ultra-light carbon fibre. Prices are as beastly as you might expect, starting at £1,434 for the basic laptop, and soaring up to the giddy heights of £4,000 if you go crazy with all the possible extras, upgrades and bolt-ons. That said, if you go for a model higher up the range, you will be effectively buying into a powerful desktop replacement.